Following our nomination for Best New Retail Concept at the 2016 WGSN Futures Awards, we flew to London to attend the awards ceremony. 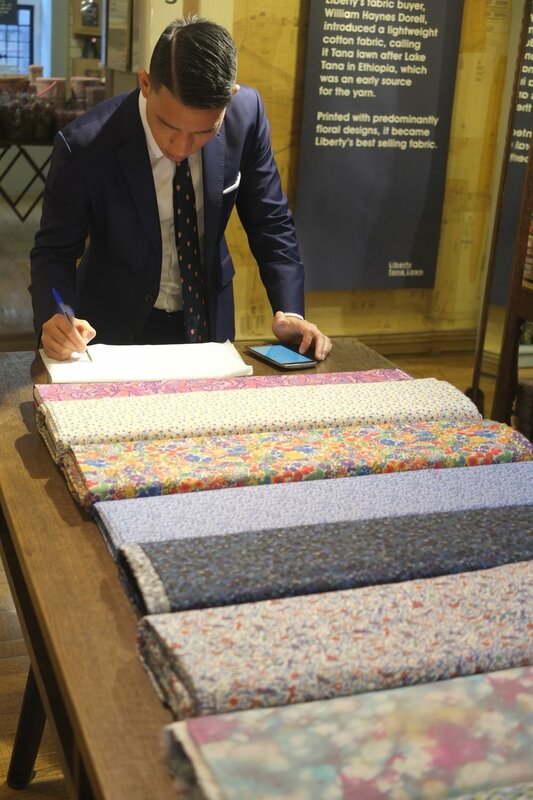 During our trip we also visited iconic British department store Liberty and brought back a dozen of their beautiful print fabrics for our customers. Twelve iconic Liberty prints for you to choose from. Add a bit of London flair to your shirt with a Liberty collar or cuff lining. Limited quantities only! Built in a mock-Tudor style in the 1920's, the Liberty building is beautiful inside and out. 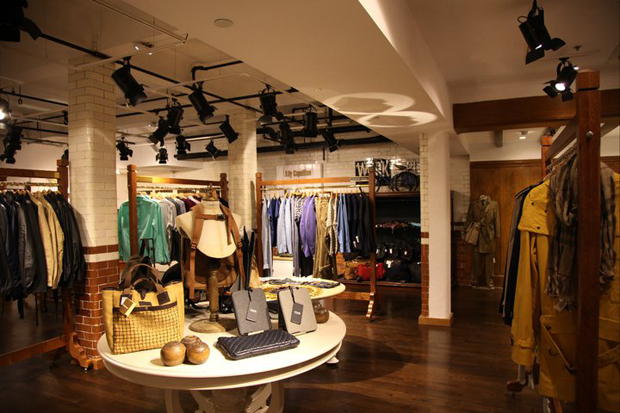 The dark timber interior provides a stark backdrop for some of the most modern fashion labels in the city. Below, a few snaps from our visit.